Less impressive was Tony Blair becoming Prime Minister in Maniac 5 - he committed suicide some time before the first series, then Mark Millar forgot and he came to life back in the third. Ha! Blair would have enjoyed that - death and resurrection are very much in keeping with the messianic image he has of himself. 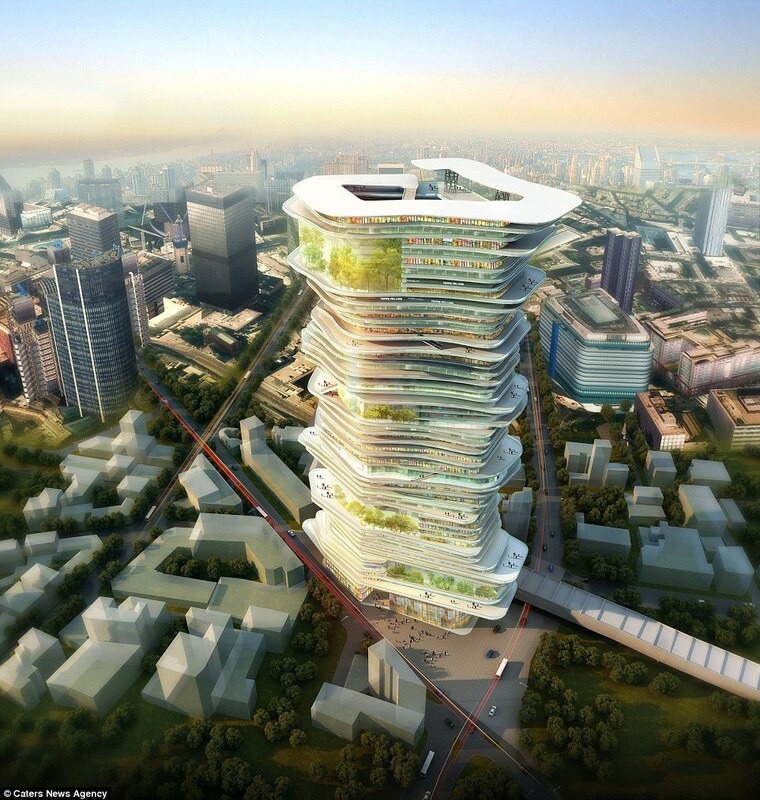 Ambitious plans suggest skyscrapers of the future may one day house an entire city. The 'Endless City' project would see a giant skyscraper as tall as The Shard in London, built with its own complete ecosystem featuring offices, shops and 'huge' parks. London is the proposed city for the mixed-use tower in which different areas of the building would be linked by a series of bridges and walkways helping to 'increase exchanges, communications and interactions, creating a 'vertical city' housing thousands. It would include a raft of public spaces, entertainment zones and shopping areas to create a 'vertical city'. Residents would be able to walk up a series of interlinked ramps through vibrant streets, plazas, technological spaces and 'huge' parks in a 'complex and rich system like a real city'. Except Conchita Wurst is, what would generally be considered, a male. And the Lady Eudoxia Looshin is deffinelty, what would be considered by most, a female. Next time, we use the riot foam before kick-off. So thats why the judges didnt use it on DoC! I wrote a letter to Tharg about that years ago, cannae remember the prog though. OhOh late to the party - cheers Danddontdare for the heads up. What's your surname Satanist - I know you're mark but I have a few Glasgow Marks and I don't want them getting excited. Approx Pog range ould also lend credibility to your claim. Streets in the Sky is an old idea. Just checked on Barney and think its prog 1376. My one and only entry in Thargs organ. Ffnarr! By the time I moved to Hulme in 1990, they were good for late night shebeens, smack dealers, dogshit and muggings. Still, at least the place had energy and character with loads of squatting punks, poets, musicians and artists. Nowadays Hulme is just new-build student flats and yuppie apartments for the city centre workers, and all but one or two of the dozens of pubs has shut down. The bit I live in (known as the redbricks) is one of the few old bits that survived the demolition, and it's like a nature reserve of the old Hulme - a protected sanctuary for the punks and crusties. I never lived there as in, had a rent book (not that anyone bothered collecting rent there anyway) but I did wind up staying there a lot in the late 80's as a lot of the flats by then were just empty, and most of my friends lived there. Miss that place! We got a flat in the redbricks (and started paying rent) and I've been in that same flat for the last 21 years. Well OK - in amongst a couple of letters greats there - and Floyd too! Hahahahaha! Vehicles made of living materials...reminded me of Nemesis.